Are you planning a field trip or another type of group outing around Houston? Along with Space Center Houston and Minute Maid Park, the Houston Zoo is one of the most popular attractions in the city and is a wonderful destination for visitors of all ages. Both locals and out-of-towners will enjoy all that the zoo has to offer. 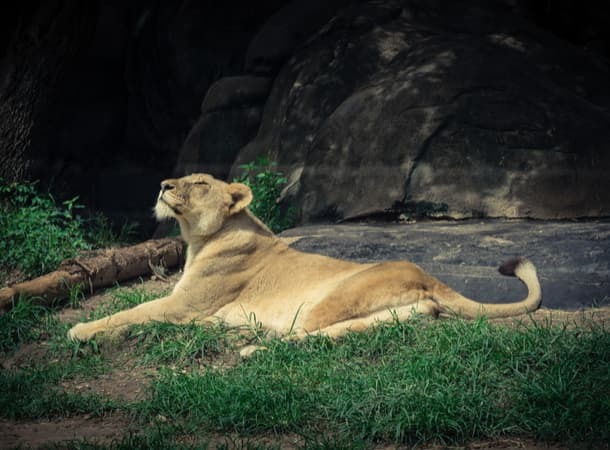 If you’re traveling to the Houston Zoo with a large group, a motorcoach from National Charter Bus is the best transportation option to accommodate everyone. We’ve worked with groups of all types to provide top-quality transportation services across Houston. Let us make your trip to the Houston Zoo as smooth as possible! Call us at 713-234-6591 to chat with one of our rental experts today! Welcoming over 2 million visitors through its gates annually, the Houston Zoo has recently ranked as one of the busiest zoos in the country. With over 6,000 animals representing around 900 species, the zoo is one of the biggest in the state by animal population. Some of the zoo’s most popular residents are gorillas, giraffes, and a variety of big cats including the University of Houston’s cougar mascot, Shasta. Along with traditional terrestrial exhibits, the zoo also has an aquarium, a reptile room, a bug house, and an aviary for guests to enjoy. Additional animal encounters are also available. Get up close and personal with sea lions, dingoes, sloths, and more! 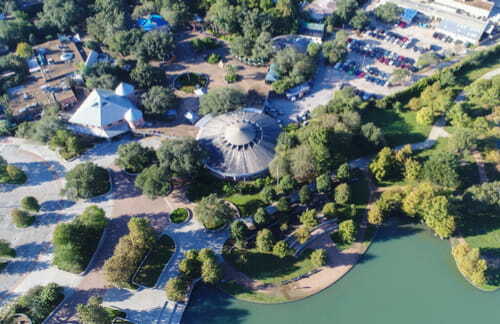 The zoo is located in picturesque Hermann Park within Houston’s Museum District, a cultural center with institutions dedicated to everything from natural sciences to fine art. After the Museum of Fine Arts and Museum of Natural Science, the Houston Zoo is among the oldest institutions in the Museum District, having opened its doors in 1922. Even as one of the most-visited zoos in the nation, the Houston Zoo offers reasonable pricing and discounts for field trips and groups over 20. If you’re an educator planning a field trip to the Houston Zoo, be sure to request your field trip date well in advance due to popularity. Hermann Park and the surrounding area is often frequented by locals and tourists, meaning that parking lots can get crowded very quickly. Parking for the zoo is shared with the rest of Hermann Park and part of the Museum District, which can be difficult for groups visiting during peak times like weekends or weekday afternoons. Additional parking is available near the Centennial Gardens in Hermann Park and off-site overflow parking is available on the weekends for $7 per vehicle. Renting a charter bus for your group will help everyone avoid the hassle of parking on-site at Hermann Park. 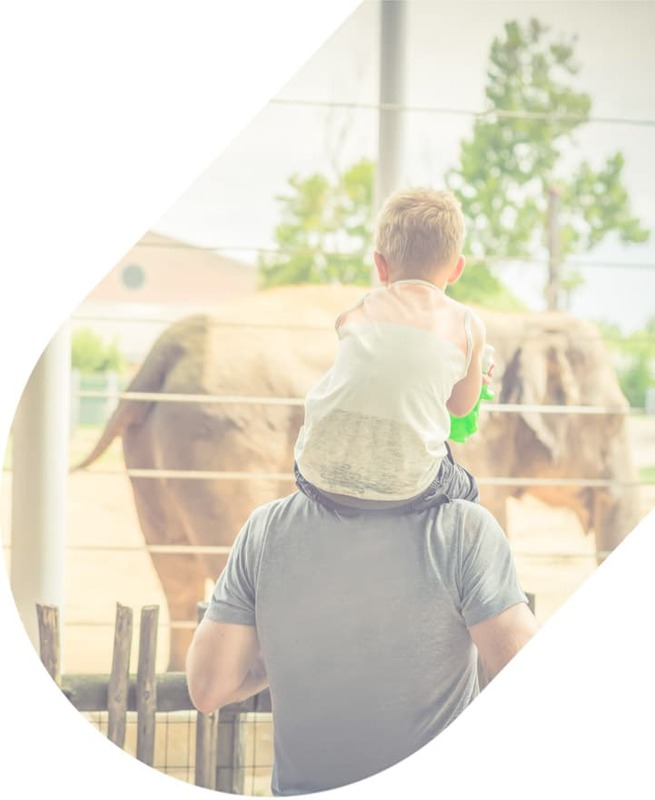 Each bus rented from National Charter Bus includes a professional driver to handle all of your transportation needs during your day at the zoo. Students and chaperones can be dropped off at the Hermann Park train station directly in front of the zoo before your driver is directed toward parking. Whether you’re a group of families visiting the zoo together for a play date, or you’re a group of educators taking multiple classes for an educational day out, National Charter Bus will find the best charter bus rental for your needs. Private groups can choose from an 18-passenger, 20-passenger, or 25-passenger minibus to comfortably fit every friend or family member. School groups made up of a few classes would be best suited with a full-sized coach for their day at the Houston Zoo. If your school needs more than one bus, we’d be happy to help you build a custom fleet for your students. Although visiting a zoo usually seems most appropriate with a group of kids or a community organization, the Houston Zoo offers rental spaces for wedding receptions, social events, and corporate meetings. There are over a dozen private venues across the park that vary in size and purpose, accommodating anywhere from 10 to 2,500 guests. Host a unique corporate banquet under some of the zoo’s oldest trees near the jaguar exhibit or hold a wedding reception among tranquil water fountains at the zoo’s Reflection Pool. Hosting an event at the Houston Zoo will give your guests a memorable experience at one of the biggest attractions in the city. Offering important guests a shuttle service from local hotels or designated pickup locations will provide an even more special experience. National Charter Bus will pair you with modern and sleek models of charter bus to impress corporate visitors or treat special wedding guests. Don’t hesitate to call National Charter Bus anytime to get the bus rental process started as soon as possible for your trip to the zoo. We have rental experts available 24/7 to help you organize travel logistics for your upcoming trip. Our services also extend throughout most major cities in Texas. Travel to Dallas, San Antonio, and Austin with confidence when you choose National Charter Bus. Call us today at 713-234-6591 for a personalized quote!